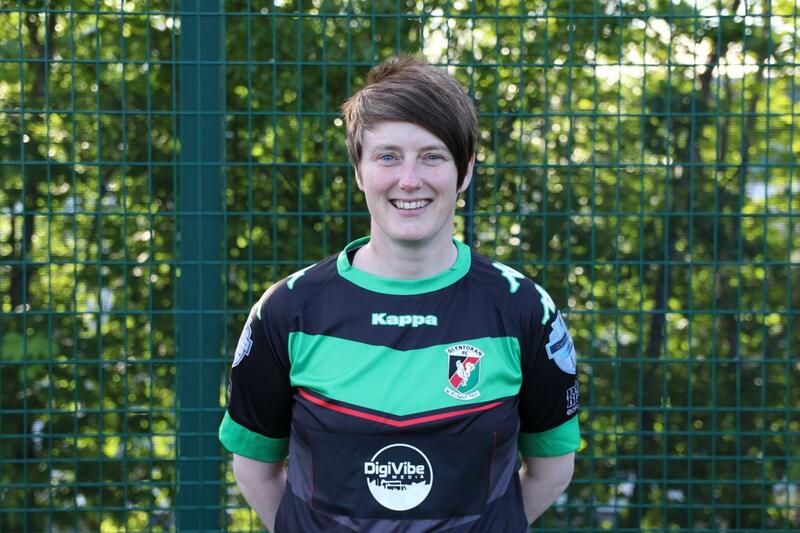 Kelly Bailie's hat-trick helped propel Glentoran Women to a convincing six-goal victory over newly-promoted Comber Rec. Ladies at The Oval. A quickfire first-half double from Bailie put Diarmuid O'Carroll's side in control before Rachel Rogan also netted a brace ahead of the break. Demi Vance made it five after half-time and there was still time for Bailie to complete her hat-trick to give the East Belfast side a perfect start to the 2019 Danske Bank Women's Premiership. After a slow start, it took Glentoran 28 minutes to open the scoring when Bailie got on the end of a Joely Andrews assist. A further three goals were added with 11 minutes with Vance helping herself to a hat-trick of assists. Rogan grabbed two and Bailie the other as the Glens ran riot. 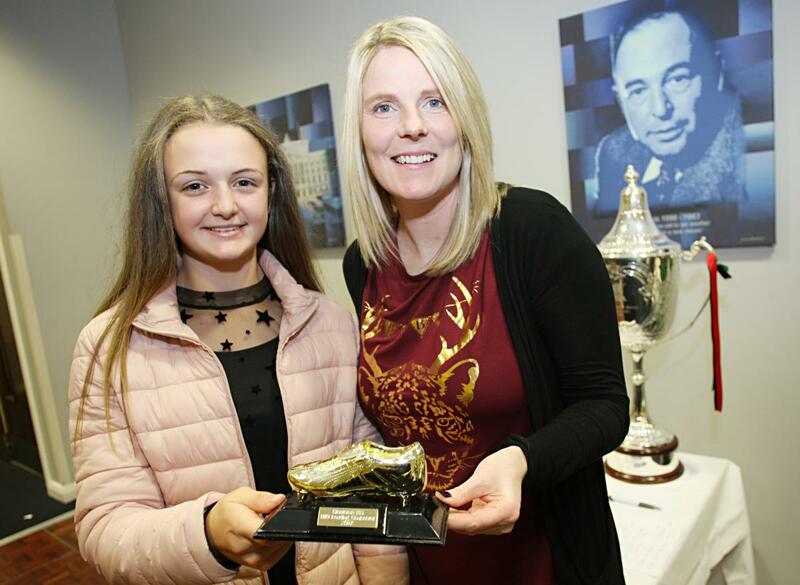 Vance turned from provider to goalscorer before the hour mark as she slid the ball home past Comber goalkeeper Leigh Skelton when Bailie secured her hat-trick goal in injury time to put the icing on the cake for last season's runners-up. 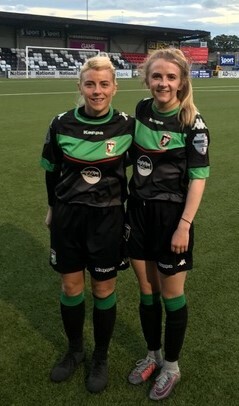 Glentoran Women got their season off to a fantastic start tonight as as they ran out 20-0 winners over Belfast Celtic in the County Antrim Cup. Goalscorers were as follows: 5 Rachel Rogan 4 Demi Vance 3 Danielle Maxwell 2 Kelly Bailie 2 Nadene Caldwell 2 Ali McMaster 1 Kerry Beattie 1 Makyla Mulholland. 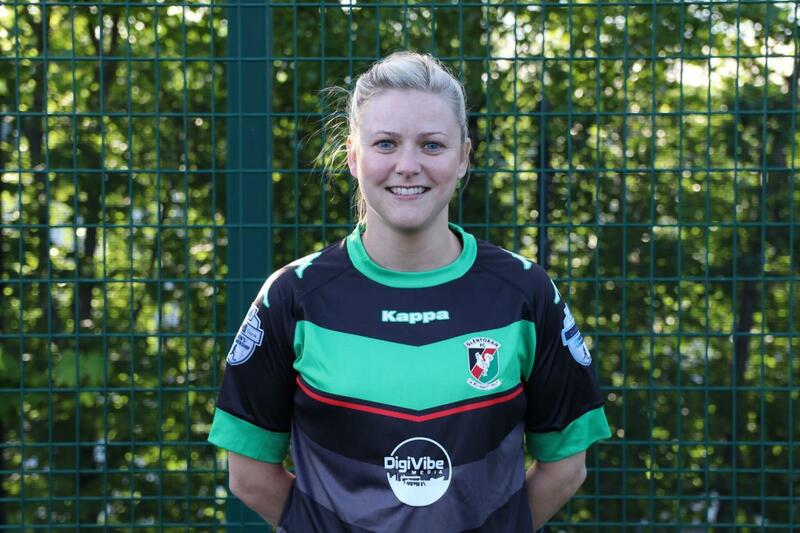 Glentoran Women are delighted to announce the signing of goalkeeper Emma Higgins. 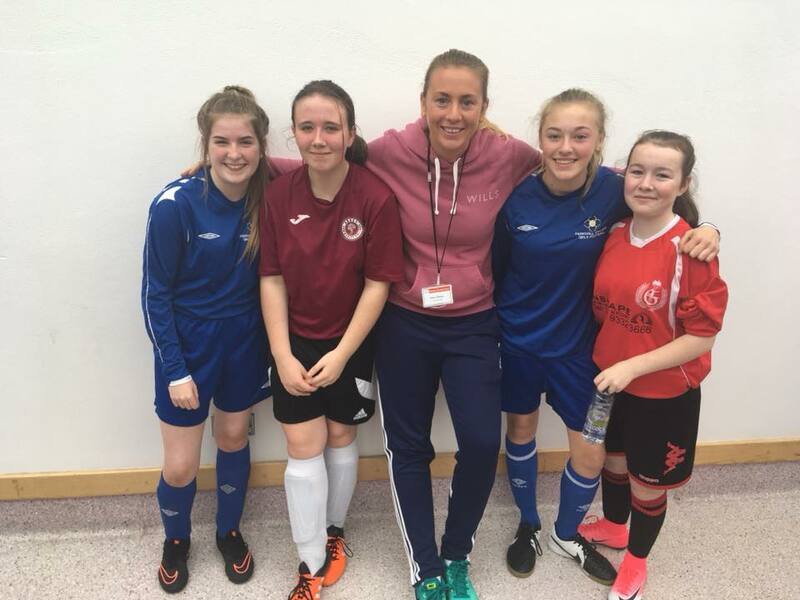 Emma played for her hometown club Ballymena before joining Glentoran in 2007, She then went on to win a scholarship to Leeds Metropolitan University and signed for Leeds United. Since then she has played for Icelandic club Grindavík and most recently Selfoss. 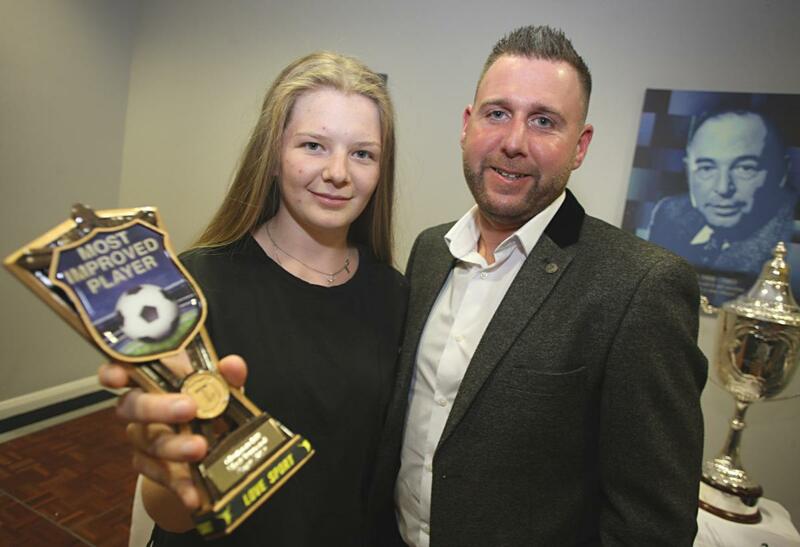 She was previously with Doncaster Rovers Belles of the FA WSL. 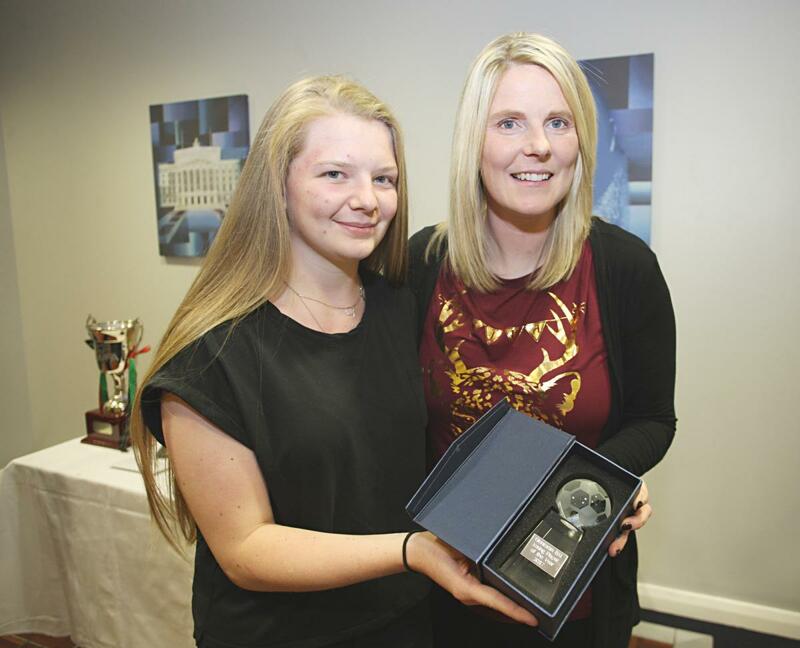 Emma made her senior Northern Ireland debut aged 17, against Portugal at the Algarve Cup. Eight years later she made her 50th appearance against New Zealand at the Cyprus Cup. Emma brings a wealth of experience to the club and we are delighted to have her onboard. Back in red, green and black. 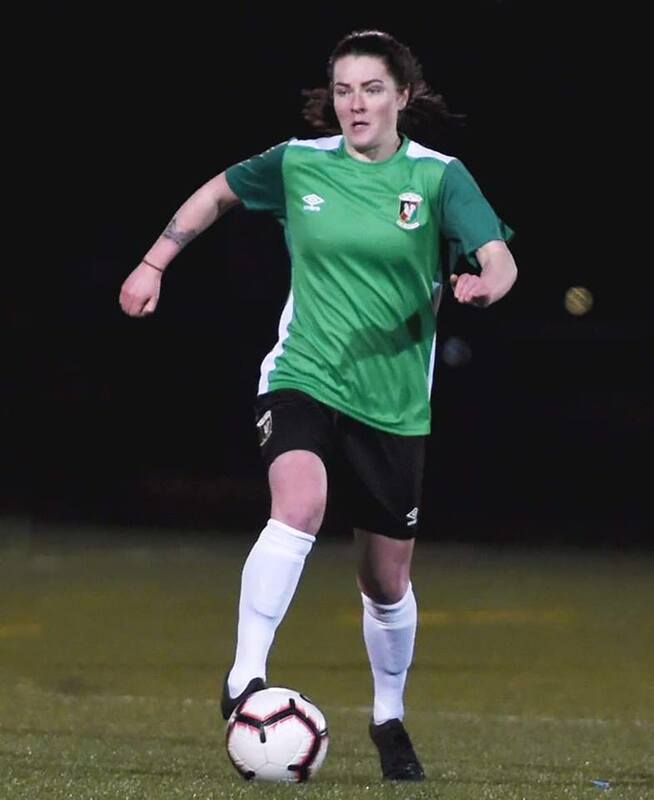 Glentoran Women are delighted to announce our first signing of 2019, Vicky Carleton. The 22 year old re-joins the club after spells with Portsmouth Women and Lewes Women. We'll have more transfer news coming your way soon! The cup winning Glentoran Womens team and their management and coaching team were welcomed to Monday night's "Big Two" men's first team match with Linfield. 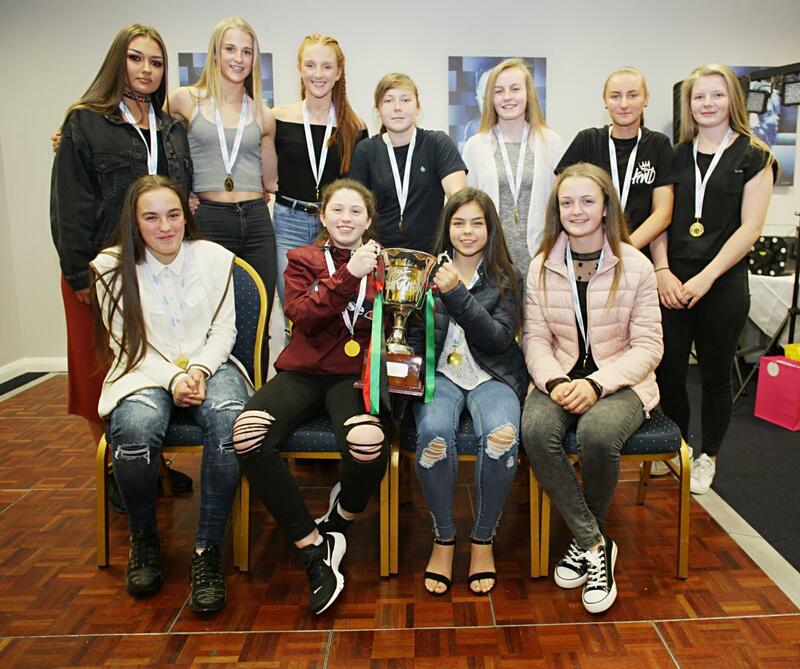 The squad were welcomed into The Oval boardroom by the Board of Directors then proudly paraded the Electric Ireland Women's Irish Cup on the pitch before kick off. The cup winners received a great reception from the bumper home crowd. This match proved a game too far for the Glens after 2 great wins in the previous six days. In a game of two halves it was Glentoran that bossed the first half and deservedly went in with a three goal cushion. Makyla Mullholland, Ali McMaster and Rachel Rogan put the Glens ahead in a stunning first half performance. Cup final hero Mulholland headed in from a Demi Vance corner in the fifth minute to give Glentoran a dream start. Linfield almost equalised when Kirsty McGuinness came close to an equaliser on 19 minutes. Teeded up by Louise McDaniel, McGuinness fired across the keeper but the ball couldn’t beat the post. Glentoran came close to a second on 24 minutes when a terrific shot from distance by Vance struck the post and rolled along the goal line before being cleared by a grateful Linfield defence. However, the home side went 2-0 ahead on 27 minutes. A long free kick into the box was headed down into the path of McMaster who bundled the ball home. Rachel Rogan made is 3-0 in the 45th minute when she flicked home a Vance corner at the near post. At the interval Linfield made some important changes, captain Sarah Venney replaced injured goalkeeper Jamie Lee Wilson and Louise McFrederick went into goal. Within four minutes of the restart Rebecca McKenna fired home a shot from distance into the top corner and the comeback was on. On 52 minutes McGuinness was released one on one with the keeper and she slotted the ball home and make the score 3-2. Glentoran were hanging on but looking dangerous on the break but on the 70th minute Linfield drew level. A shot from McGuinness took a wicked deflection to leave Ashleigh McKinnon totally stranded and the comeback was complete at 3-3. A point would have clinched the title for Linfield at this stage but the Blues went on to win the match. The momentum was with the title chasing Blues' and they went in search of more goals. A deep free kick from McGuinness found Ashley Hutton at the back post and she powered home the header to put Linfield 4-3 ahead on 75 minutes. The comeback was completed on 79 minutes when Rebecca Bassett blasted home from distance into the roof of the net to make Linfield comfortable at 5-3. Glentoran Women's FC defeated Portadown Ladies to take a step closer to securing the runners-up spot and consigning the Ports to the bottom after a testing season. 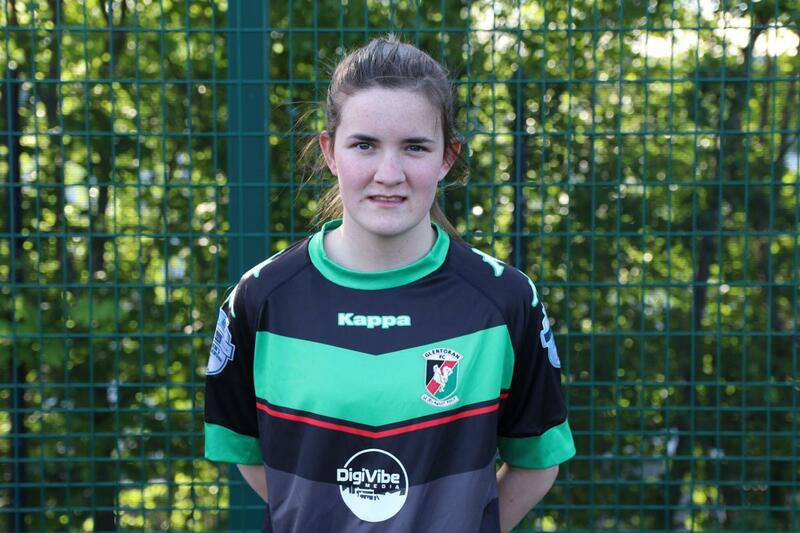 The Glens romped to a crushing victory and opened the scoring with only two minutes on the clock when Caragh Milligan netted after going one on one with Ports keeper Megan McCabe. Only two minutes later Sarah Gamble got her name on the score sheet after firing home from six yards after a corner wasn't cleared. With six minutes on the clock Portadown scored after a poor Glentoran clearance. Aisling McKenna superbly fired home from 35 yards to punish the goalkeeping error. Glentoran didn't have to wait long to score their next goal, Rachel Rogan made it 3-1 when Joely Andrews cross found her at the back post. Soon after Rogan scored her second when Danielle Maxwell cut the ball back perfectly for her to sweep home. Glentoran kept the pressure on and where rampant going forward and Andrews scored the Glens next goal. Only a minute later Milligan scored another this time a back post finish coming from a Maxwell cross. The goals kept coming for Glentoran and midway through the half Demi Vance hammered home into the bottom right corner. On twenty five minutes Milligan claimed her hat-trick after finishing well inside the area from a Demi Vance through ball. Soon after Milligan scored yet again at the back post. On the half hour mark Glentoran netted another when Andrews shot was deflected into the Portadown net. Star of the show Milligan scored another to record her fifth goal of the evening with Rogan then knocking home a right foot volley which sailed into the roof of the net. After the break Glentoran kept the pressure on but had to settle for just one goal in the second half when Rogan went one on one and fired into the bottom right corner to record her fourth goal of the night. 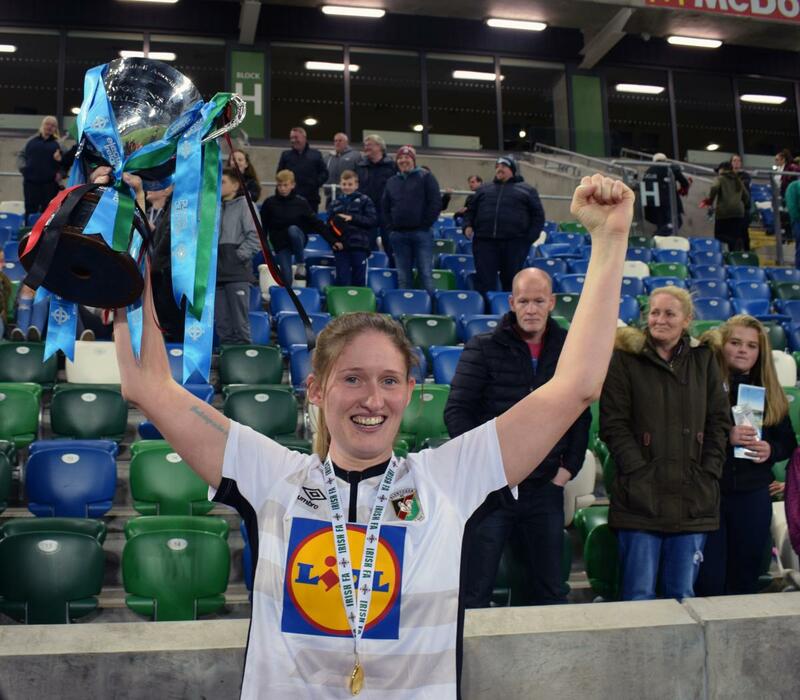 Two almost identical goals in the final 10 minutes of the game helped Glentoran Women to deservedly win the Electric Ireland Women’s Challenge Cup this evening. 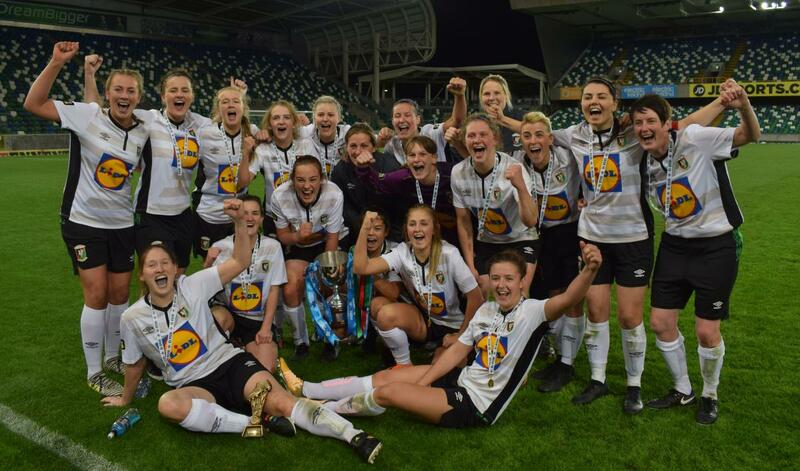 Makyla Mulholland twice produced powerful headed finishes from Demi Vance corners to ensure the Glens edged past champions elect Linfield Ladies 2-1 in the cup final at the National Football Stadium at Windsor Park. Linfield had opened the scoring on 61 minutes through Megan Bell but the Glens kept pressing and duly got their reward thanks to the contributions from two of their more experienced players. On the balance of play Billy Clarke’s side deserved their record seventh Women’s Irish Cup success. Linfield, who are on the cusp of winning the Danske Bank Women’s Premiership crown, were stifled by the Glens, who harried and hassled them but also produced some flowing football. 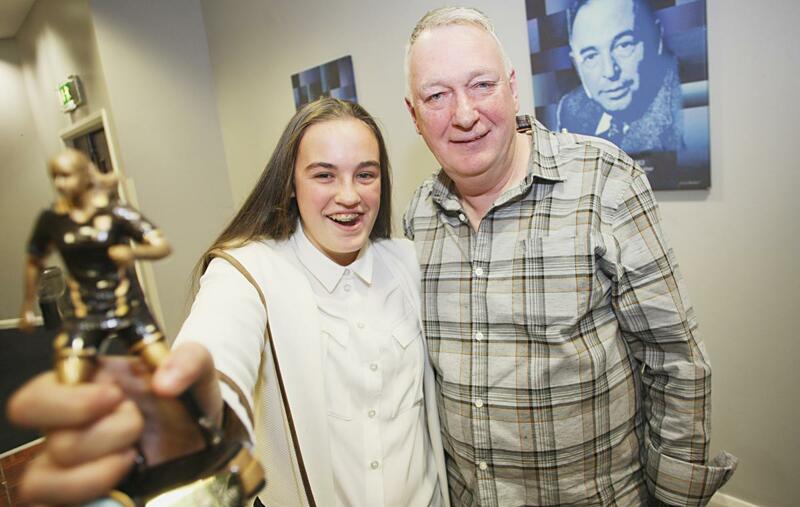 Young Glens forward Caragh Milligan, who was the best player on the park, was constantly on the move and her strong running was a thorn in Linfield’s side throughout the match. And it was Milligan who had the first decent effort of the game in the 13th minute, her snapshot drifting just wide of the upright. Fellow Northern Ireland international Megan Bell was full of running for the Blues and she produced Linfield’s first shot, although her effort was straight at the keeper. Kelly Bailie, who pocketed her seventh Women’s Irish Cup medal this evening, was a strong presence in midfield for the Glens alongside Nadene Caldwell and Vance. On 26 minutes Vance shot high and wide after making a decent break and minutes later Milligan screwed an effort past the post. Then Linfield’s Bell blasted the ball over the top before the Glens’ Bailie struck a sweet long range shot which went just wide of the upright. In the 32nd minute Caldwell produced a great run from deep and fed Rachel Rogan but her shot was weak. Moments later Linfield midfielder Chloe McCarron ran powerfully at the Glens backline but her shot drifted over the bar. And just before the break Bell produced a great run before scooping a drive wide of the mark. The Glens were on the front foot after the restart and Bailie smashed a shot just over the top from long range. Linfield, however, then enjoyed a purple patch which ended with them taking the lead. McGuinness swung in a free-kick which evaded everyone and went inches wide of the post before a flowing move down the left flank ended with McCarron firing over the top. Bell had an effort smothered by Glens keeper Ashleigh McKinnon on 60 minutes but just a minute later McGuinness found her on the edge of the area and Bell smashed the ball into the roof of the net to give the Blues the lead. The Glens continued to pile forward, however. Another pinpoint Bailie delivery was pushed away by Linfield keeper Jamie-Lee Wilson, Glens captain Jessica Foy shot straight at the keeper after getting on the end of a Milligan cut-back and then a Bailie blaster from a free-kick was saved by the Linfield keeper with her feet. The pressure from the east Belfast side paid off, however, in the 83rd minute when Mullholland rose powerfully to meet a great Vance delivery from a corner. Minutes later Milligan’s angled drive nestled on the top of the Linfield net and then Caldwell fired a shot just over the top as the Glens went for the jugular. In the 88th minute the Glens made it 2-1 with a goal almost identical to their first. Vance whipped the ball in from a corner and Mulholland headed what proved to be the winner home. 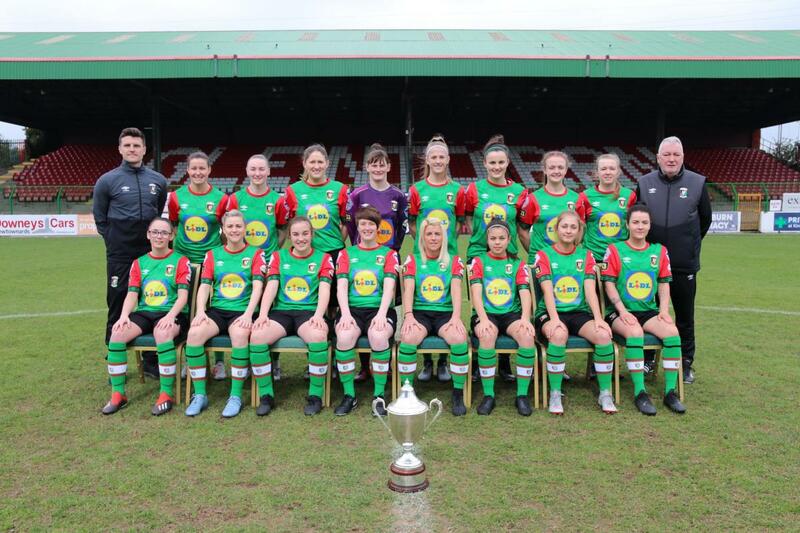 Glentoran Women: Ashleigh McKinnon, Yasmin White, Jessica Foy (captain), Aimee-Lee Peachey, Nadene Caldwell, Makyla Mulholland, Demi Vance, Rachel Rogan, Ali McMaster, Kelly Bailie, Caragh Milligan. Substitutes: (used) Danielle Maxwell, Sarah Gamble; (not used) Cleo Taggart, Joley Andrews, Suzanne Baxter. Glentoran Women maintained their recent momentum by recording a 4-0 victory over Derry City Women in this evenings game at The Oval. 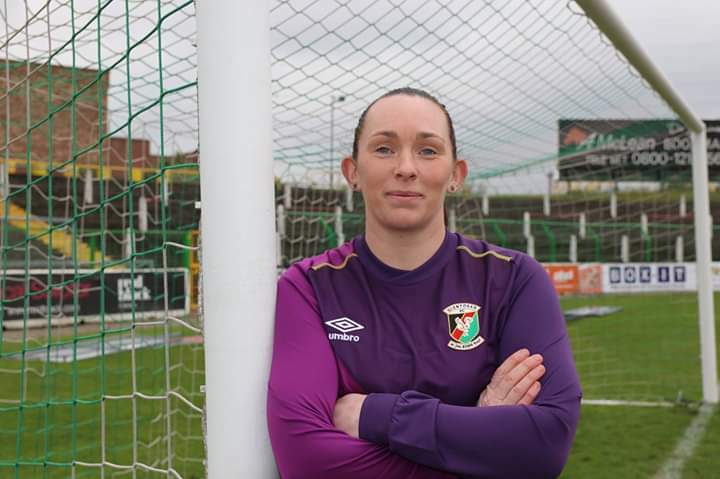 With regular goalkeepers Ashleigh McKinnon and Lauren Currie unavailable, Suzanne Baxter started in nets for the East Belfast side who have now leapfrogged Cliftonville Ladies into second place in the Danske Bank Women’s Premiership. Glentoran had a good chance to take the lead in the 7th minute however the Derry City keeper produced a fine save to deny Kelly Bailie. The opening goal for Glentoran came in the 16th minute as Ali McMaster scored after Joley Andrews played the ball across the goalmouth and McMaster was in the right place at the right time to score past the Derry City goalkeeper. In the 28th minute good link up play between Rogan and Foy put the Northern Ireland player through on goal however her effort went just wide of the post. Seven minutes later Caragh Milligan found herself all alone in the Derry City penalty area however she fired her shot just wide. In the 41st minute McMaster turned her defender and unleashed a wicked left foot shot that went inches past the post. Derry City’s first real chance of the game fell in the 42nd as a header from a corner went just over the bar. The Glens ended the first half on the offensive with Rogan going close however her effort went agonising wide of the post. The first chance of the second half fell to Sarah Gamble who got on the end of a Kelly Bailie corner however the final effort went just past the post. Glentoran’s first substitute of the game came in the 54th minute with Maxwell replacing McMaster. Rogan made it 2-0 to the Glens in the 59th as a ball over the top evaded the Derry City defence and Rogan rounded the goalkeeper to slot the ball home. The third Glentoran goal came six minutes later from the penalty spot after Milligan was fouled and up stepped Bailie to emphatically place the ball into the top right hand corner of the net leaving the Derry City with no chance. Two substitutes within the space of six minutes saw Milligan and Peachy go off to be replaced by McKearney and Stanfield respectively. In the 80th minute Bailie cut inside the defender and unleashed a curling effort that went inches wide with the keeper stranded. Bailie was not to be denied her second goal of the night, once again from the penalty spot, after appeals for handball from the Glentoran players much to the annoyance of the Derry City players who felt that the ball struck the shoulder, rather than the hand. Bailie this time placed the spot kick into the opposite corner. 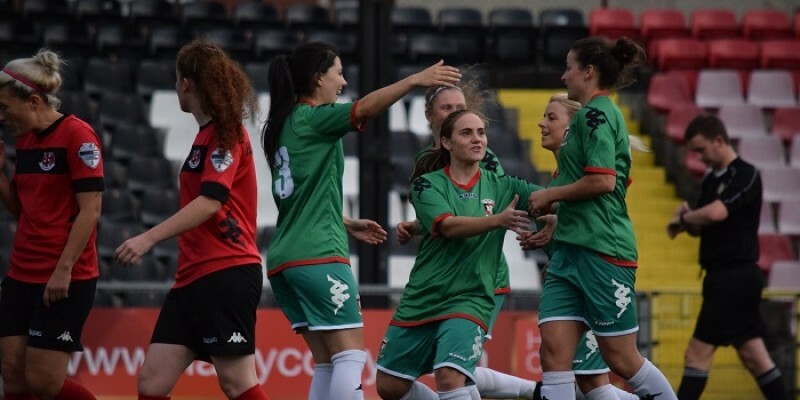 Glentoran Women continued their recent good form with a one-goal defeat of Sion Swifts Ladies 1-0 at The Oval to open up a four point gap ahead of the visitors in third position. Glentoran took advantage of the wind in their favour and put immediate pressure on the Sion defence with a series of corners. Kelly Bailie had a dangerous in swinging corner cleared of the line by Teresa Burns in the 11th minute. Sion settled into the match and seemed content to hit Glentoran on the break and they almost created an opening in the 16th minute when Zoe McGlynn fed Michelle McDade on the right but her shot was off target. Glentoran continued to dominate with Caragh Milligan prominent causing the Sion defence problems with her runs behind their defence. Sion were conceding corners and from these Glentoran had several scoring chances cleared off the line. Sion had a scoring opportunity through Ebony Leckey at the opposite end when she failed to connect with a McGlade cross just before half time. The visitors had the breeze behind them in the second half and started to put some pressure on the Glentoran goal. 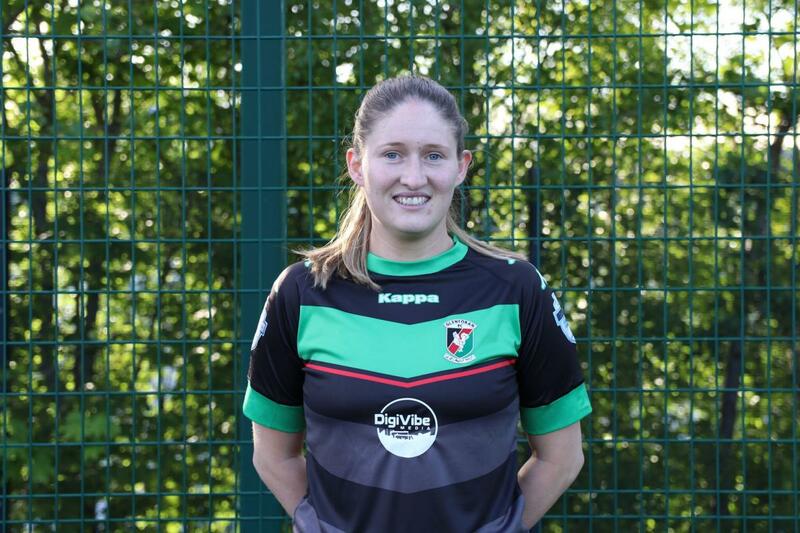 Ashleigh McKinnon was called into action on a few occasions to make timely saves but, as the half progressed, Glentoran began to get control of the game again. Rachel Rogan was sent through in the 58th min by Kelly Bailie and it took a diving save from the visiting goalkeeper to prevent the Glens taking the lead. However, in the 67th minute, Glentoran got their noses in front through a pinpoint free-kick by Nadene Caldwell which flew into the top corner for what proved to be the only goal of the game. We are now in third place, two points behind Cliftonville with a game in hand and four clear of Sion Swifts, also with a game in hand over them. Cliftonville Ladies' title hopes were dealt a blow with this 3-2 defeat to Glentoran Women's FC in a tight encounter at Rathmore Grammar School. The win for Glentoran now sees them just one point behind Cliftonville. Glentoran dominated the early stages of the match with sustained attacks but found Caoimhe Callaghan in the Cliftonville goal in excellent form. Cleo-Neece Taggart might have opened the scoring after ten minutes when she found herself in the clear with only Callaghan to beat but decided to pass and the chance was gone. But Taggart redeemed herself midway through the first half to open the scoring by slipping the ball past Callaghan after being played through by Nadene Caldwell. Cliftonville then had chances but despite testing keeper Ashleigh McKinnon the visitors couldn't get on the scoresheet. Glentoran doubled their lead three minutes before the break from a deep corner headed back into the six-yard area by Makyla Mulholland for Danielle Maxwell to apply a deft finish. Early in the second half Cliftonville put the Glens under a sustained period of pressure. This paid off when Marissa Callaghan broke clear on the left and fed the ball across goal for Amber Dempster to score after being the offside trap. Then, 20 minutes after that, Cliftonville levelled through Niamh Connolly who finished off a Callaghan header from a corner. Glentoran went onto the attack and were almost awarded when an Joely Andrews effort was well saved by Callaghan. Their pressure eventually told in the closing moments when a Mullholland free kick deceived Callaghan at the back post for what proved to be the winner. In a frantic end to the game Cliftonville pushed for the equaliser but Glentoran claimed all three points. Glentoran Women's FC produced a five-star performance to power past Cliftonville Ladies in the Electric Ireland Women's Challenge Cup semi-final at the Bangor Fuels Arena. 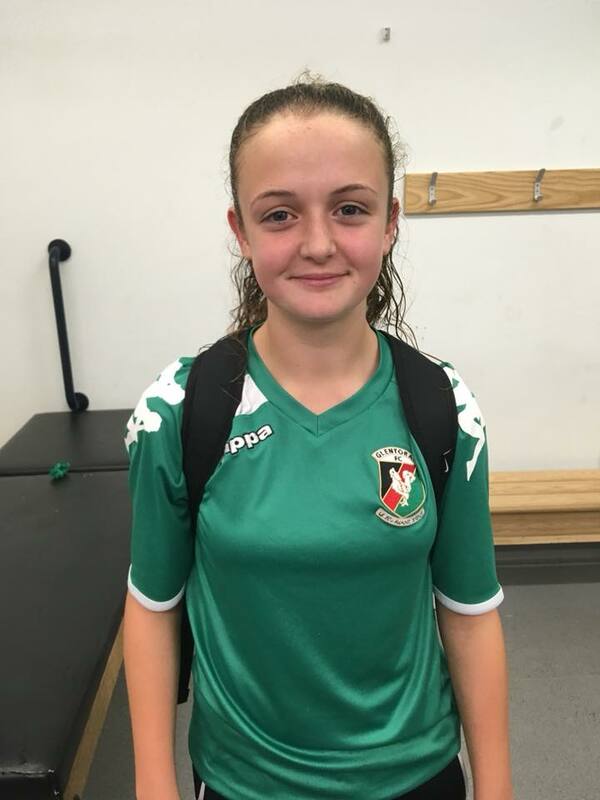 Ali McMaster opened the scoring for Glentoran in the 6th minute following a corner to the back post when she headed the ball past Callaghan in the Cliftonville goal. Glentoran continued to press Cliftonville back dominating the midfield through Caldwell and Kelly. The pressure paid off in the 20th minute. A deep right wing cross from White was met at the back post again by McMaster with a vicious shot into the roof of the net to double Glentoran’s lead. Cliftonville didn't let their heads drop and began to ask questions of Glentoran’s defence with a few shots and crosses causing them some anxious moments. Cliftonville eventually pulled a goal back in the 42nd minute when Niamh Connolly side-footed home a right wing cross from inside the six yard box. This goal proved to be a wake up call for Glentoran. On the stroke of half-time Caragh Milligan outpaced the Cliftonville defence to slot home a right foot drive across Callaghan into the left corner to restore Glentoran’s two goal advantage. Glentoran started the second half as they finished the first on the front foot forcing Cliftonville into defensive errors. It wasn’t long before they had added to their lead. Good inter play on their left put Jess Foy free behind the Cliftonville defence and her delicate chip found Rachel Rogan in space at the front post to score with a neatly headed 4th goal for Glentoran after 56 mins. The game ebbed and flowed with Cliftonville trying making big strides to get themselves back into the match. They almost succeeded in 66th minute as Billy Simpson let fly from 25yards only for McKinnon to make an excellent diving save and push the ball over the bar for a corner. The corner caused momentary panic in the Glentoran defence as a Simpson header was cleared off the line and a shot was blocked by Caldwell and cleared by Peachey. As the match moved into the final 10 minutes Glentoran stretched their lead with a 5th goal from another near post Rogan header to complete the scoring. On the night Glentoran ran out worthy 5 -1 winners and can now look forward to meeting Linfield in the Final on Saturday 22nd September at The National Stadium at Windsor Park. Glentoran Women: McKinnon, Milligan, Foy, McMaster, Peachey, White, Caldwell, Maxwell, Rogan, Kelly, Bailie. Subs Curry, Taggart (replaced Maxwell 45), Baxter, McKearney. Glentoran Women's leapfrogged Crusaders Strikers into third spot with a five-goal victory at Seaview. The first half started off as an event contest, with Courtney Moore and Demi Vance coming close to scoring for either side. Glentoran moved in front on 18 minutes were awarded a penalty on the half hour, Grace Murray was adjudged to have handled the ball blocking a shot, with Vance stepping up to place the ball beyond Maddy Harvey-Clifford’s reach. It was 2-0 ten minutes before the break, the speedy Caragh Milligan continued her fine goal scoring form getting in behind the Crues' defence down the left hand side, before unleashing a powerful shot high into the net. Crusaders came out straight away in the second half committing players forward but were caught in the first few minutes on the counter attack with Milligan again getting in down the left hand side, her ball into the box was latched on to by Ali McMaster who put her side 3-0 ahead. Crusaders substitute Nadine Murphy forced some fine saves from the visiting keeper Ashleigh McKinnon midway through the half after some good link up play between Emily Wilson and Chloe Archibald down the right hand side. McKinnon pulled off her second good save in succession from the resulting corner, Heather Mearns hitting her shot on the turn from inside the box forcing the save. Glentoran grabbed their fourth with Aimee Lee Peachey’s deflected effort off Grace Murray finding the net. Nadene Caldwell rounded off the scoring with moments to go, arriving late in the box to latch on to a driven cross from the right hand side to seal a fantastic victory for Glentoran. Glentoran Womens FC defeated Portadown Ladies 11-0 at the Oval to move into fourth position in the Danske Bank Women's Premiership. The Glentoran scoring started early through Caragh Milligan on 14 minutes with a low hard strike from the edge of the area into the bottom corner. Makyla Mulholland then doubled the lead when a Glentoran corner from the right wing wasn't properly cleared, Kelly Bailie passed to Mulholland who fired into the top right corner. Milligan made it 3-0 when she was played through by Bailie and fired hard and low past Courtney Adamson in the Portadown goal who was well worked throughout the night. The goals where coming from all areas of the pitch for Glentoran. Bailie was next to find the net when Demi Vance's effort was only parried into her path to score from close range. Nadene Caldwell was next to score shortly before half time with a header from a cross delivered from the left. Milligan completed her hat-trick moments later when she picked up possession on the half way line and beat all in her path to put Glentoran 6-0 up at the break. After the interval the Glens picked up where they left off with Milligan scoring her fourth not long after the hour mark. Ali McMaster was next to trouble the scoresheet when she fired in the bottom left when the Portadown defence didn't clear with substitute Samantha Kelly following up soon after with a rifled 12-yard finish into the roof of the net. Caldwell then made it a perfect 10-0 when her thunderbolt effort flew into the top right corner from the edge of the area in the 80th minute, while Jess Foy completed the scoring with a classy finish towards the end after being played clear by Vance. Cliftonville Ladies defeated Glentoran Women's FC 1-0 at Solitude in a tight encounter that keeps the Reds in second place. This was the first meeting between these sides after the previous meeting was re-arranged due to international call-ups. Both teams started well but it was Glentoran that had the best of the chances in the first half when Rachel Rogan came close to opening the scoring with a one-on-one with Caoimhe Callaghan who done well to come off her line and block. But, despite both teams battling hard until half time, no other clear-cut chances were created. After the break the opportunities were few and far between until Niamh Connolly opened the scoring in the 53rd minute for the Reds. Glentoran searched for the equaliser however Cliftonville were solid in defence defending shots from Kellie Bailie who was proving to be Glentoran's chief threat. Callaghan performed well in the Cliftonville goal earning her second consecutive cleansheet to earn a well deserved win for Cliftonville. 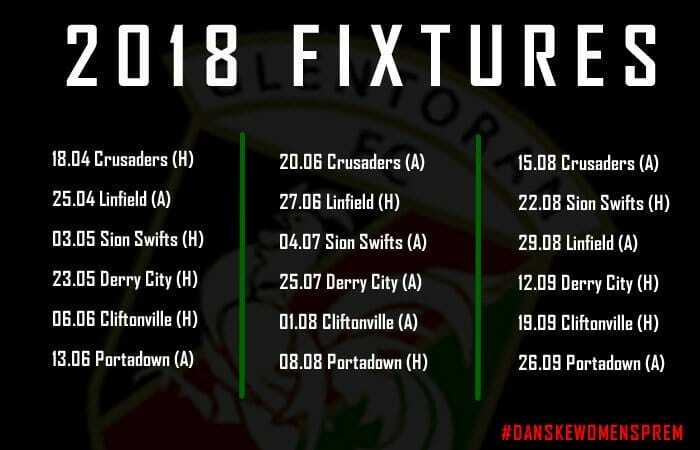 Glentoran Women easily defeated Derry City Ladies at the Brandywell to move to within three points of second place in the Dankse Bank Women's Premiership. The visitors opened the scoring in the 33rd minute when midfielder Demi Vance picked up the ball on the edge of the area to fire low and hard into the bottom left corner. After the interval Glentoran picked up where they left off and hemmed City into their own half winning a series of corners. The Glens doubled their lead in the 50th minute with a goal from Caragh Milligan. The East Belfast side were then awarded a penalty and Ali McMaster scored with a powerful finish into the bottom left corner. The one way traffic continued when Makyla Mulholland's back post header made it 4-0. A great long range effort from Kelly Ballie thundered against the Derry woodwork as Glentoran hunted for more goals before, with five minutes left, Jess Foy completed the scoring for the visitors. Glentoran Women sealed a valuable point away to Sion Swifts Ladies in the Danske Bank Women's Premiership, thanks to Rachel Rogan. Sion lost Moya Feehan after just 20 minutes as she stretched to get onto the end of a Chloe McGlade cross and injuring her knee in the process and had to be stretchered off the pitch. With little between the teams it was the replacement Hannah Ward who finished off a superb three player move by swooping to lift the ball over the Lauren Currie in the Glentoran goal mid-way through the first half to put the Swifts a goal to the good. Glentoran Women responded well as Sarah Connolly levelled the scoring in the 38th minute from a set play as she headed in. Sion started the second half with a renewed enthusiasm and deservedly took the lead when the excellent Chloe McGlade struck at the far post after a fantastic run and cross from Zoe McGlynn. 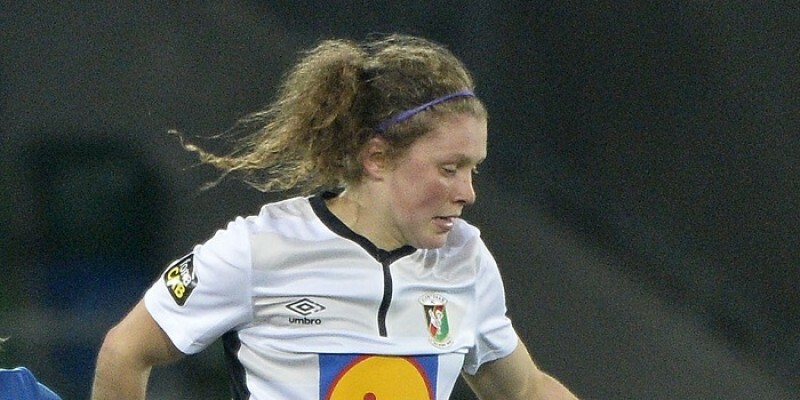 Glentoran Women were soon down to ten players following Nadine Caldwell's red card on 71 minutes. 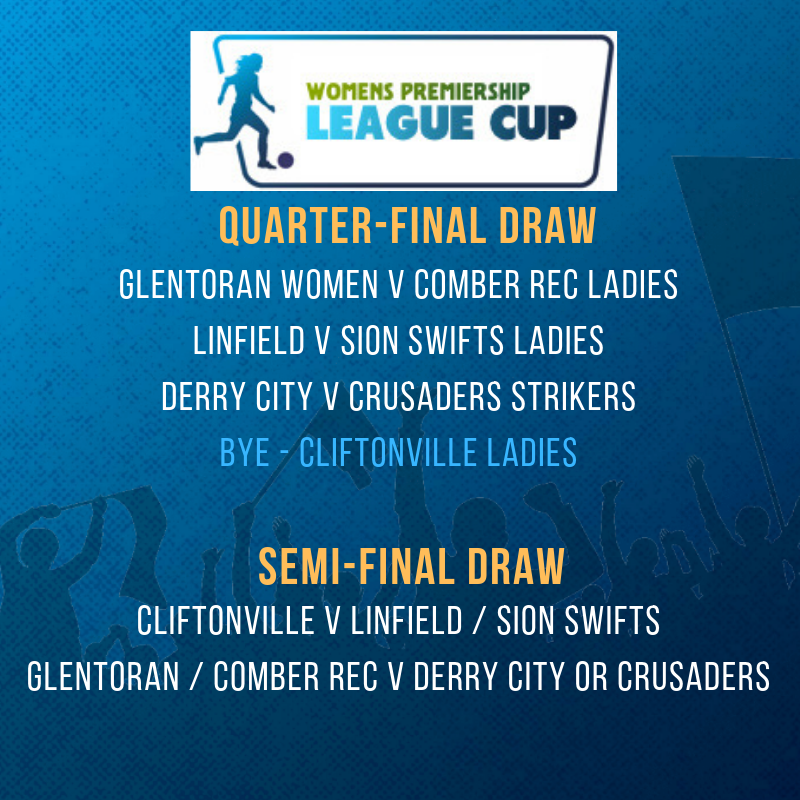 The following 15 minutes should have allowed Sion Swifts to go further ahead, with gilt edged chances coming for Chloe McGlade, Michelle McDaid, Tyler Toland and Claragh Connor all going close to giving Sion the lead again. With two minutes left on the clock Glentoran won possession in midfield and broke quickly with a cross from the right causing confusion in the Swifts six yard box and eventually being scrambled home by the prolific Rachel Rogan. Deep in added time Glentoran came very close to winning when another set piece was eventually cleared off the line by Kendra McMullan to leave both teams with a share of the points. Glentoran got off to a flying start after 3 minutes, with Demi Vance bursting down the left before putting the ball on the end of Rachel Rogan’s Toe to steer past the helpless crusaders goalkeeper. Crusaders forced a great save from Currie in the Glentoran Goal after 6 minutes, a free kick came into the box and Crusaders player got on the end of it and flicked it towards Currie who had to palm over. The rest of the first half was largely played in the Crusaders Defensive third, twice the ball was flashed across the area looking for a telling touch that no-one in a green and black shirt could get on to double the lead. Then disaster almost Struck as a Crusaders Defender tried to clear under pressure sending the ball agonisingly towards the top corner of her own net. Great work from Milligan down the right before pulling back to the edge of the box for Vance to have a shot which was well blocked by the Crusaders Captain. Crusaders had their first clear chance on 34 minutes when Moore burst through the Glentoran Defence and tried to dink the ball past and on rushing Currie only for the ball to drift wide of the left hand post. The Second Half was a very cagey affair with few chances. After a number of Ricochets in the Box Ali McMaster took control and Slammed the ball into the back of the net to give Glentoran the 3 points and hope for the title race ahead. Glentoran have far from hit the heights they know they are capable of but they are certainly getting there. Glentoran Women FC hit nine without reply past Portadown Ladies at Shamrock Park, in a game played in challenging conditions as Storm Hector approached. Both teams got off to a good start with some fantastic football but it was a piece of class from Demi Vance from 25 yards that broke the deadlock in the 20th minute for Glentoran. Portadown quickly picked themselves up and, just moments later, they got a free-kick 30 yards out but Rachel Kerr put the ball wide with no pressure on the Lauren Currie in the Glens' goal. In the 38th minute a great ball through put Caragh Milligan one-on-one with the keeper and she slotted the ball in the far corner of the net to double Glentoran's lead. Glentoran immediately went on the attack again and another world class save by Megan McCabe in the home goal denied Rachel Rogan. The third goal came on 44 minutes when Milligan played Sarah Connolly through to place the ball in the back of the net. With half time approaching, Portadown had a mishap when Niamh Ruddy turned the ball into her own net for Glentoran's fourth. And with four additional minutes played at the end of the first half the referee awarded a penalty to Glentoran, with Vance stepping up to put the ball away for number five. The scoring continued after the break. Milligan was played into position by Joely Andrews on the hour to make it 6-0, not long before Rogan added a seventh. Connolly then doubled her tally on 65 minutes before, with five minutes remaining, Yasmin White completed the scoring with a header from a corner. Glentoran will feel like they deserved more from the game, on the night they just came up against a Linfield team who know how to win ugly. Linfield largely dominated the possession in the first half but didn’t look particularly threatening apart from the great goal by Robson, good work down the left resulted in Robson getting her left foot on the ball and sending it looping over the head of Currie in nets. In the second half the Glens found their rhythm and largely dominated the play, they hit the cross bar, mulligan, Rogan and Mcmaster all missed good chances. The equaliser did come on 60 minutes when a high hanging corner met Bailie at the back post she headed it across the box where McMaster headed it goal wards only for Rogan to make sure it went in. After that it seemed Glentoran were in the ascendancy, McMaster with another great chance from 12 yards but in two minds whether to shoot first time or try beat a defender and unfortunately for her couldn’t find the net. Glentoran pressed for the winner however a lapse in concentration allowed McCarron to pick up the ball on the half way line and drive through a non-existent midfield to have a shot from 30 yards. Currie tried to get her finger tips to the ball but it wasn’t to be, the ball cannoning off the upright and into the back of the net. Linfield could have been down to 10 women in the 85th Minute when it appeared a Glentoran player got an elbow to the face, but the referee was having none of it as Linfield now face Cliftonville in the final. Derry City made the long trip to East Belfast on a sunny Wednesday Night for their game against Glentoran Women. Derry City, a new team to the league, gave Glentoran the early initiative and never really got it back. Glentoran Started like a house on fire and were two nil up within 7 minutes as Kelly Bailie strode through the middle of the Derry defence unchallenged to finish past the helpless keeper. Second goal came courtesy of a deflection from a Derry player after great down the left by Glentoran. The game fell flat for 20 minutes as Glentoran tried to consolidate the lead and Derry tried to get themselves going. A few saves from either keeper kept the score at two nil until the 30 minute mark when a bullet header from Mulholland increased Glentoran’s lead. She rose highest at the back post to score her first league goal of the season. Aoife Lennon added a 4th 2 minutes later when she challenged the Derry City goalkeeper when she fumbled a cross. Unfortunately for the keeper, Lennon got her foot in first and knocked the ball into the empty net. The second half was a pretty subdued affair with both teams seemingly happy to close up shop and take what they had. Rachel Rogan added a 5th 5 minutes before the Derry City forward scored the best goal of the game. The ball bounced out to about 25 yards and she struck it beautifully into the top left corner of the net. A night where Glentoran got the job done early and were able to relax. After scoring 17 goals in the last two games they go into the cup game next week full of confidence. Glentoran Women powered through to the League Cup semi-final courtesy of a 12-goal thrashing of Portadown Ladies at Ashfield Boys School. The Glens started with a goal from Demi Vance on eight minutes and that set the tone for the rest of the match. Aoife Lennon doubled the lead in the 11th minute before Vance made it 3-0 on 17 minutes with a long range strike from a tight angle inside the area after a lovely exchange with Ali McMaster. Courtney Adamson put the ball into her own net on 22 minutes to extend Glentoran's advantage, as did Nichole Duffy six minutes after that. After the break the scoring continued, Lennon got on the scoresheet again on 47 minutes, with Vance adding to her tally soon after finishing off a flowing move involving Sarah Gamble. Vance scored her fourth of the evening in the 55th minute to make it 8-0 before, on 63 minutes, Ali McMaster knocked home a ninth. Playing with confidence, Glentoran found the net regularly with Rachel Rogan grabbing a double before Danielle Maxwell completed the scoring with a couple of minutes remaining. 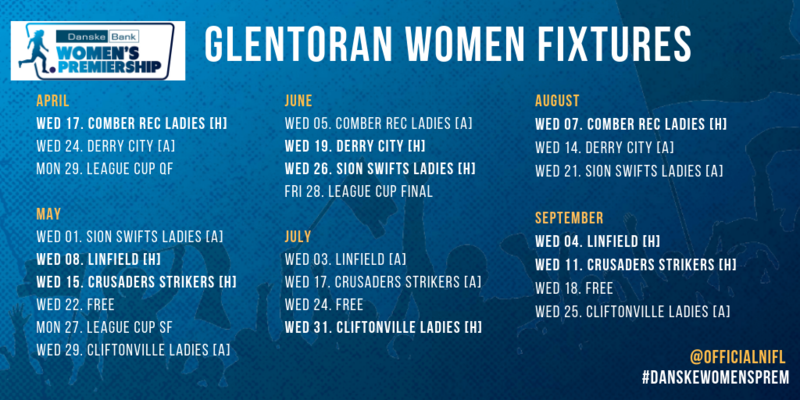 Two games, two draws at The Oval so far this season for Glentoran Women. Both teams showed their character on the night, Sion Swifts battled back from going a goal down on 35 minutes. Ali McMaster took her goal really well with a left foot finish after the ball bobbling around in the box. Sion Swifts scored three minutes later from the penalty spot. The penalty given against the Glentoran defender looked extremely unlucky on first viewing. Seven minutes later Sion Swifts were in front and this time a great finish by the Swifts striker, left footed across the goalkeeper at the Sydenham End. Not a lot happened in the second half both teams tried to get into a rhythm but wasn’t to be. 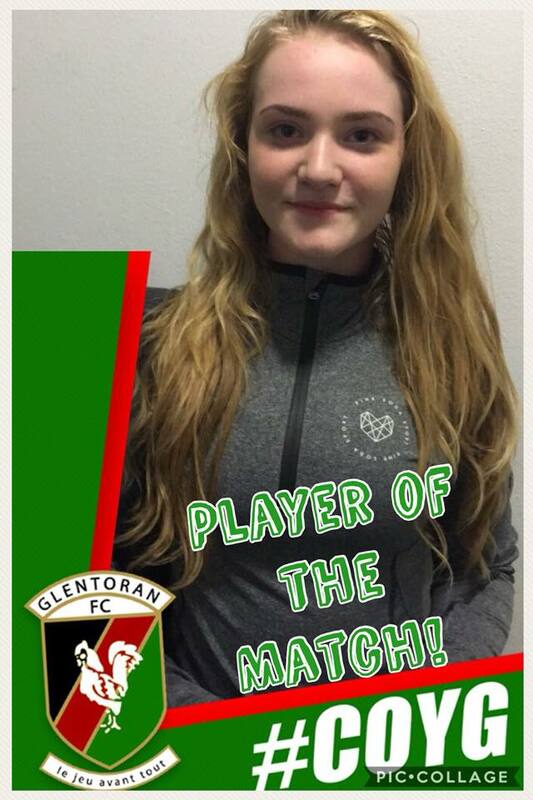 Glentoran threw everything into the final few minutes and got their rewards, Aoife Lennon eventually bundling the ball over the line in the 90th minute. Glentoran will feel aggrieved not to come away with the three points on the opening day of the Danske Bank Women;'s Premiership campaign. They dominated from start to finish and their back four and keeper were rarely troubled. The Glentoran Players seemed to relish the opportunity to get the ball wide on the big Oval pitch, Samantha Kelly and Demi Vance caused havoc in the first half and were both unlucky not to put the ball in the net. Crusaders will be happy with their defensive display but will hope to create more chances in future games. Glentoran on the whole will be happy with their nights work but will have to put it down to just ‘One of those Nights’ in front of goal. Before the match our new signing Apife Lennon was ruled out as her international clearance from her previous club in New Zwaland has not completed. 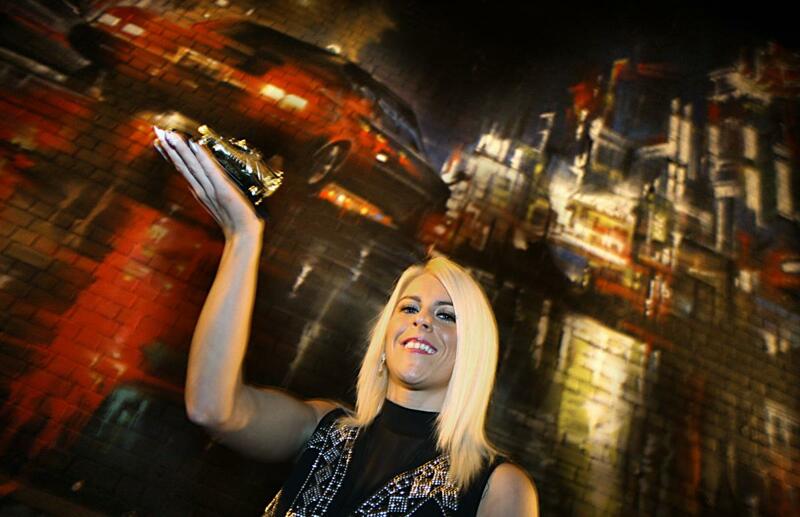 Glentoran BU held their Annual Awards Night this week at the Ramada Encore Hotel in Belfast. Congratulations to all of the award winners and a big thanks all of our players for their attendance at training and matches. Not forgetting our parents for their support during the season with driving to and from training and matches. Finally, many thanks to all of our coaching staff for their dedication, commitment, time and patience during the year. The U19 squad with their League Championship trophy. Senior Players Sam Kelly (Player of the Year) and Rachel Rogan (Top Scorer) with their awards. 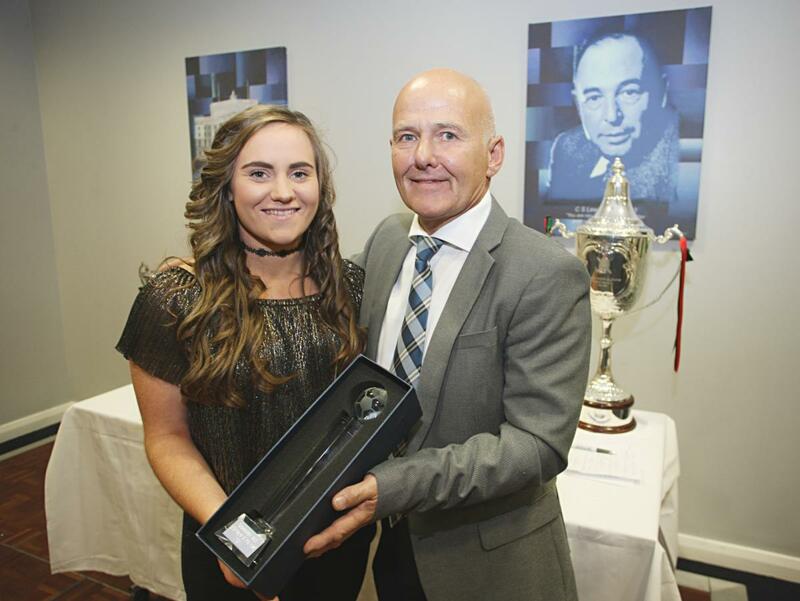 Senior Player Kerry Eddis with her two awards - Young Player of the Year and Most Improved Senior Player. 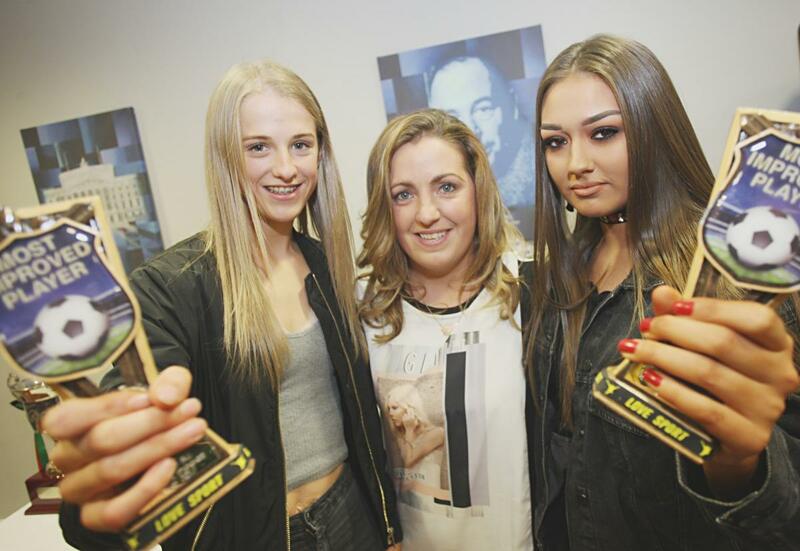 Under 19 Players Joely Andrews (U19 Player of the Year) and Naomi Burns & Olivia Marshall (Joint Winners, U19 Most Improved Player). With only squeezing in one training session in the the last two weeks with games and training being cancelled due to the recent bad weather, the lack of game time or training was not evident at all. Once the whistle blew at Ulidia Playing Fields, our girls knew exactly what to do. Our girls kept pushing forward relentlessly and this paid off with an early goal. As the game progressed our girls made use of all positions, goalkeeping in safe hands, defence was rock solid and the midfield made use of their areas spreading the ball about creating chances from the middle or using the width to enable our forwards to make use of these chances. Special mention to 2 of our girls Faith and Lauren who took flying balls to the chest and face, both girls showed their grit and determination to win by shaking it off and continuing with the game. A big thank you again to Rosario Girls for giving us another tough game. Glentoran U17s started their league campaign with a convincing win over St Oliver Plunkett tonight! The game was played in miserable conditions but this didn’t stop the Glens girls playing great football! Goals from Sophie, Kerry, Bethany, Caitlin, Joely, Leah and Katie secured the win for the girls! Well done and a great start! Some of the Glentoran U15s have been representing their respective schools in the IFA Futsal Tournaments over the past number of weeks! Today we had Aimee and Leah (Parkhall Integrated College), Madison (Abbey Community College) and Kacey (Glengormley High School). The girls have represented their clubs and schools well playing great football in a competitive and fun environment! Our U15s travelled to V36 to take on Crusaders tonight in an expected tough game! The game finished 2-1 to Glentoran with the winner from Leah McAdorey! The girls put on a great defensive display after starting the game on top! Well done U15s! The u19s continue to impress! 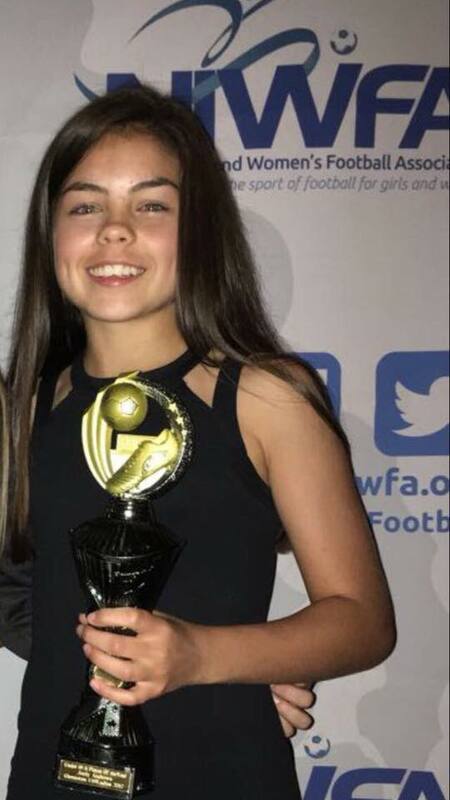 After going through the league unbeaten this year and picking up the league trophy last Saturday night, captain Joely Andrews picked up an individual award at the NIWFA Awards Dinner as U19 League Player of the Year as voted by other clubs in the league! 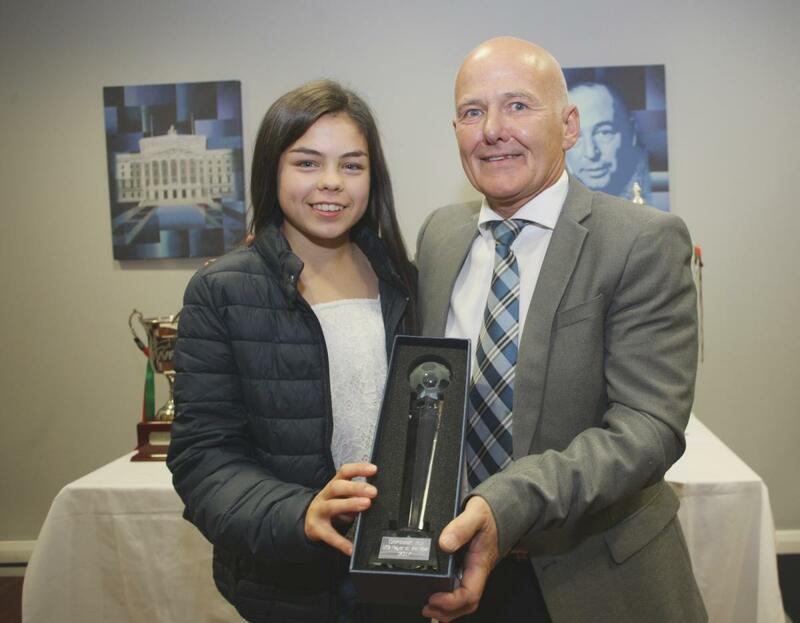 This is a well deserved achievement from Joely who has shown leadership and quality at both Glentoran and Northern Ireland over the last year! The club are extremely proud of Joely and our u19 team as they have worked together to gain some well deserved recognition!